AgustaWestland was awarded by the Philippine's Department of National Defense with the contract to provide two anti-submarine warfare (ASW) helicopters. The two AW159 Wildact helicopters will be assigned to Philippine Navy. The award was made after DND announced in late 2015 that AgustaWestland was the sole proponent for the said project. The Philippine Navy earlier announced that it was looking at the possibility of acquiring the AW159 "Wildcat" as its ASW helicopters. This is part of the country's Medium Term Defense Acquisition List for the next few years.The ASW choppers will be assigned to the BRP Gregorio Del Pilar (PF-15) and BRP Ramon Alcaraz (PF-16).The AW159 (previously called the Future Lynx and Lynx Wildcat) is an improved version of the Westland Super Lynx military helicopter.The AW159 will serve in the battlefield utility, search and rescue, anti-surface warfare and anti-submarine warfare roles. 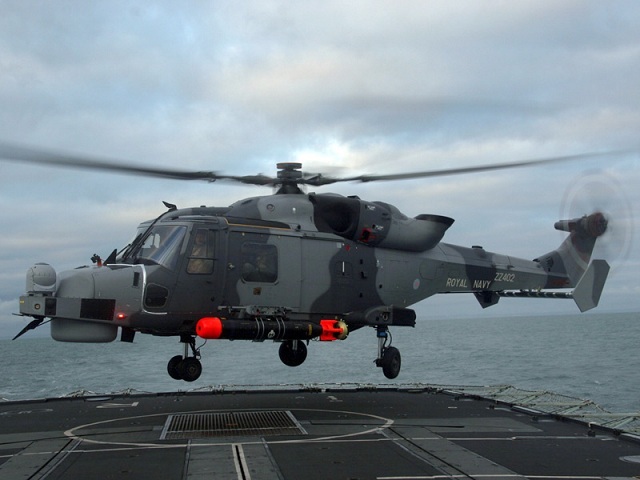 The AW159 Wildcat is in use with the UK Army Air Corps and Royal Navy. It has also been ordered (8 units) by the Republic of Korea Navy. The Philippine Navy becomes the second export customer of the Wildcat.